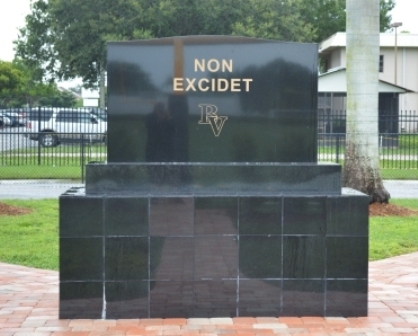 The Non Excidet Monument was dedicated and blessed by Fr. O'Madagain on Friday, August 28th. The monument was designed and funded by the Horns and Swords club, dedicated to school spirit and support of all things Viking. The dedication and blessing took place during the first Pep Rally of the school year, kicking off the 2015 Football season.